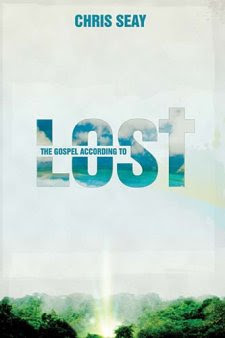 Every Christian Lost lover should spend a few hours with Chris Seay’s new book, “The Gospel According to Lost”. Filled with tidbits of plotlines, back-stories, and trivia for Lost connoisseurs, Seay’s new book won’t disappoint. For the diehard fan who silences their cell phone, logs off Facebook, and forgets about Twitter for the entire 60 minutes or the one who doesn’t mind missing a few episodes and playing catch-up via water cooler discussion or ABC’s message boards, this book will entertain while offering valuable insight and application into Scripture and for our lives. Several times during the book, I found myself being reminded of past storylines relevant to the program and even though I was intrigued, I never took the time to research certain trivia (such as every book, chapter, and verse on Eko’s ‘Jesus stick’). Thanks to Chris Seay, now I know. Whether we get our Lost questions answered in Season 6 or not, life is about two types of people- those lost and those saved. Seay’s book is a reminder that life is that simple. If only our favorite television show was. Disclaimer: I received this book as a member of Thomas Nelson’s Book Review Blogger program. Click here to find out about becoming a book review blogger for Thomas Nelson. Entry Filed under: book review,Lost,Thomas Nelson. Posted in book review ,Lost ,Thomas Nelson . i hope to read it. thanks for the review. I need to pay better attention, as I am a Thomas Nelson review blogger member also, but missed out on this!